U.S. and CANADA - After the Centers for Disease Control and Prevention (CDC) and the U.S. Food and Drug Administration (FDA) announced an outbreak of E. coli “likely linked to romaine lettuce” on Tuesday November 20, the produce industry came out in full force to share their concerns and comments. And whereas the CDC and the FDA have recommended that all romaine be taken out of circulation, many in produce are calling for an investigation that would identify a specific place of origin for the outbreak and free up unaffected product for consumption. 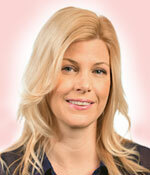 The United Fresh Produce Association echoed Nassif’s comments in a statement of its own. The California Leafy Greens Marketing Agreement’s Marketing Director April Ward also released a statement on the outbreak. The Public Health Agency of Canada (PHAC) found similar cases of E. coli in Ontario, Quebec, and New Brunswick, according to a press release, and the Canadian Produce Marketing Association (CPMA) stated it would be working closely with the agency and its U.S. counterparts to update its members as any new developments are known. The source of the outbreak is still under investigation by the FDA and the CDC. 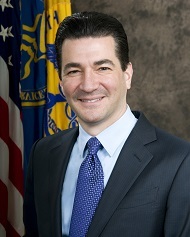 FDA Commissioner Scott Gottlieb, M.D. posted a tweet on Thursday, November 22nd, that stated his agency believes the outbreak is “related to lettuce harvested from California,” but there has been no confirmation of this allegation as of yet. AndNowUKnow will update you on the latest as more information rolls in.